Love for our 'Vintage Framed Canvas'! I must get better at keeping this little blog up to date. 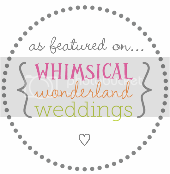 It's been a fun week, starting with a mention by the gorgeous Annabel in her amazing Love My Dress wedding blog. I emailed Annabel to see what she thought of our vintage framed canvas and she loved it! :-) Thanks again to her for such a lovely write up. Have also been having some interesting discussions this week after being approached by unique boutiques....can't say much more for now but watch this space! Looking forward to the Bank Holiday weekend...relaxing and designing. Has been a lovely day getting my youngest little boy Christened. He was very well behaved! More new pics added to the website and a unique order has just come through, which I look foward to sharing. I love beautiful things and have just stumbled across the fabulous Ruby & Betty's Attic who offer absolutely gorgeous french painted furniture. I love that each piece is 'pre-loved'. If only I had a bigger kitchen, this would be my purchase.... I've always wanted one of these! It's been a busy week of orders, photograph taking, taking calls, meeting new people, juggling children...TGIF! I must find the time to make this blog template a little bit more fancy, that can be my next project. BabyExpo planning is coming together but still lots to do. Here's a lovely new picture of a 400x400mm boy canvas (£65). We've also had some lovely feedback from customers this week so will be updating the testimonials page on the website soon! It's been a busy day updating the website with pics, working on new orders and checking out more new frames & printing techinques (whilst juggling children!). I'm pleased to announce that we now offer deep edge, bespoke cut, sustainable wooden frames in light brown, dark brown and black ash. White coming soon! Just need to update the website with details now. Introducing our Vintage Framed Canvas. It's been a busy few days getting everything updated on the website ready for the launch of our gorgeous new product...the Vintage Framed Canvas. A swept ornate frame supplied in black and white. Designs are then produced using a 360gsm natural archival canvas, printed with UV archival pigment inks and finished with a fine art approved satin varnish. The print is then hand stretched around a 3mm wooden board and hand mounted into the deep set heavy ornate frame - total chic! It's so perfect for romantically capturing wedding details but equally as beautiful for other memories such as the birth of a new baby. Aside from this, I'm pleased to say that More Than Words is now listed online under Marie Claire's 'Gorgeous Wedding Gifts'!...and also with Wedding Magazine. Still beavering away in the background trying to get everything together for BabyExpo too! Not long to go now. Today I selected some gorgeous, Fine Art Trade Trade Guild accredited, frames to add to our collection. Details and pics coming soon! Very excited and have a beautiful sample in production. Can't wait to see the finished product and will be sure to post a shot. Just working out final pricing details. Other than that, busy with lots of orders and planning....and juggling my two little boys!